Professor Doherty spoke to journalist Jewel Topsfield over lunch about his book The Incidental Tourist which was published in September 2018. 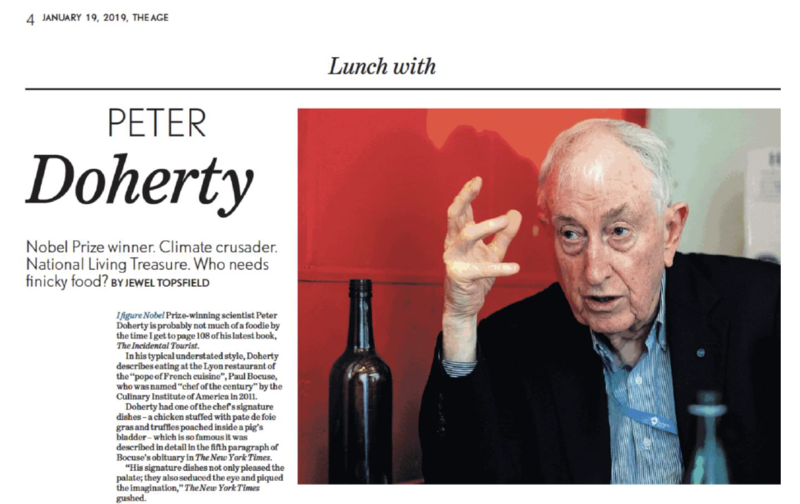 Read Professor Doherty's full interview, 'Lunch with Peter Doherty' (The Age, pp.4-5), here. 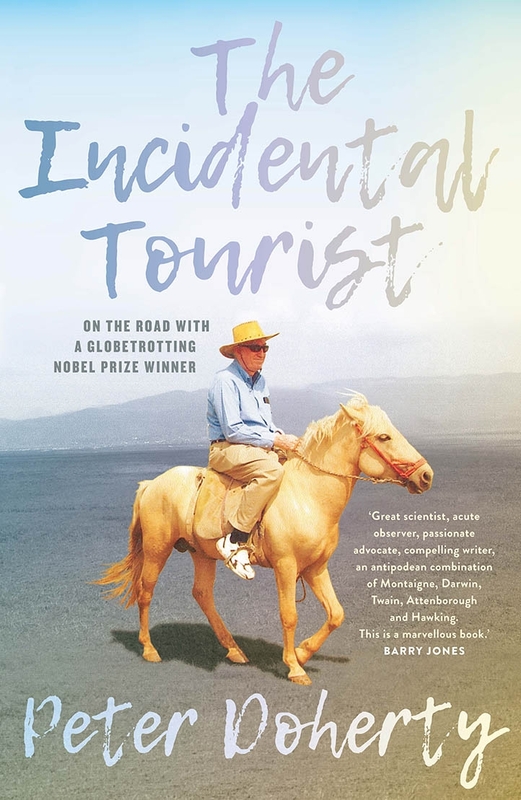 Buy The Incidental Tourist (MUP) here.